The three-reel slots remain the most popular, despite the fact that there are a lot more advanced machines, with additional features. One good example in this category is the diamond sevens machine. Diamond sevens – This machine does not give bonus screens or progressive jackpots but it is one of the best online versions, a true reflection of the classical slots that were synonymous with the all-time brick-and-mortar casinos. The game here can be played ranging between a quarter and $5 for each coin, but any single spin can only accommodate a maximum bet of three coins. When using it, the aim is to match three identical symbols. Five-reel slot machines are also very popular, but the increased number of slots does not necessarily mean that the game is complex. They have more options for winning, but some of them may be as cheap to use as the classic three-reel machines. Retro reels machine – This machine is available in most of the microgaming online casinos. Despite the five reels, it is very close in resemblance to the basic three-reel machines. The difference between these two categories of machines is the number of coins that may be wagered. It features a vast 20 playlines, and players are capable of using a maximum of 20 coins for each playline. This means that for a single spin, you can easily use 400 coins. Retro reel offers a maximum jackpot of 10,000 coins although it does not have any special inclusions. However, you can secure a few free spins, and it can only be described as a slight deviation from the traditional slots. For a long time, it has been known that the biggest wins in gambling are a result of progressive machines. There are more than 15 slots in this category, but the most notable of all is Mega Moolah. It has a typical African animation theme, which gives it a very cute look. 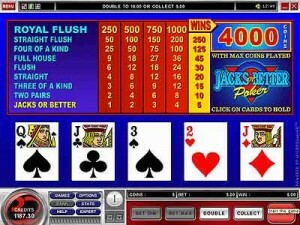 The jackpot amount is often displayed on the screen and mostly it is over $1 million, but there are variations of smaller jackpots which are offered randomly. Players can put nearly 125 coins per spin, but it is not so expensive to play compared to the five-reel slot machines. It is one of the few machines that has bonus features, and the possibility of getting free spins. Players can as well win some multipliers if they accurately hit the symbol of a lucky lion. Generally, Microgaming has attracted a variety of slots and the hundreds of machines available differ in the bonus features that they offer. They range from traditional to modern machines, and no matter the type of game that you wish to play, online casinos will always have something for everyone.